Eminent lawmakers on Monday accused Pakistan of playing a 'double-game' with the United States on the war against terror and raised suspicion that its spy agency Inter Services Intelligence knew about Osama bin Laden's presence in the country. The killing of the Al Qaeda chief at a $ 1 million hideout just 120 km away from Islamabad shows that Pakistan remains a critical but 'uncertain ally' in the fight against terrorism, Senator Susan Collins said. "It's very difficult for me to understand how this huge compound could be built in a city just an hour north of the capital of Pakistan, in a city that contained military installations, including the Pakistani military academy, and that it did not arouse tremendous suspicion, especially since there were no Internet or telephone connections and the waste was incinerated and there was barbed wire all around the top of the compound," Collins said. "So I think this tells us once again that unfortunately Pakistan at times is playing a double game, and that's very troubling to me," she told mediapersons in Washington, DC. The Senator said US needs to need to keep the pressure on Pakistan and for that it should put "more strings attached to the tremendous amount of military aid that we give the country." Image: A screen grab from FBI's Most Wanted website taken shows the status of Osama bin Laden as deceased. Senator Joe Lieberman said there are going to be a lot of questions raised here in the Congress about what people in the Pakistani intelligence agency particularly knew or should have known about the presence of bin Laden in Pakistan itself. "For years, you know, the Pakistani officials have said to us he's not in Pakistan; he's in the mountains in Waziristan between Pakistan and Afghanistan," he said. He said: "My own experience with the Pakistanis is that this is one of the most complicated, maybe the most complicated security-intelligence relationship we have with any nation in the world, because, on the one hand, the fact is, they do give us very helpful intelligence assistance and military assistance "
(But) on the other hand, we have a lot of reason to believe that elements of their intelligence community continue to be very closely in touch with and perhaps supportive of terrorist groups that are fighting us and the Afghans in Afghanistan," he added. 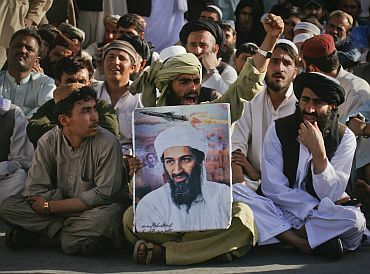 Lieberman said it will be a "real pressure" on Pakistan to prove they did not know bin Laden's presence. 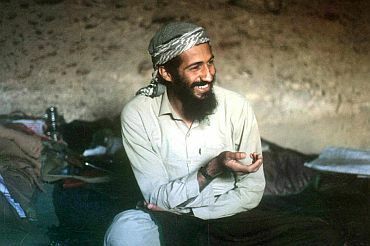 Many in US wondered how Osama bin Laden managed to remain undetected in Pakistan for so long, saying it is "inconceivable" that he had no support system there and noted the Obama administration is probing what helped the Al Qaeda chief to hold on in the country. "I think it's inconceivable that bin Laden did not have a support system in the country that allowed him to remain there for an extended period of time," John Brennan, Deputy National Security Advisor for Counterterrorism and Homeland Security, told mediapersons at a crowded White House news conference in Washington, DC. "I am not going to speculate about what type of support he might have had on an official basis inside of Pakistan." 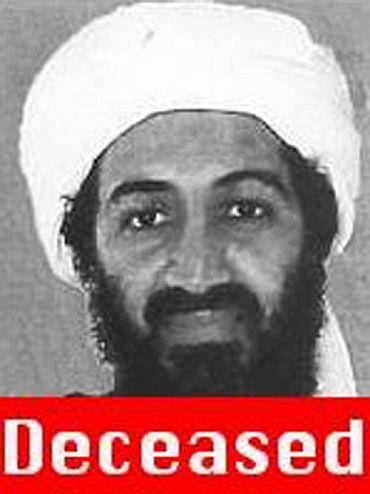 Osama bin Laden was killed in a pre-dawn operation on Monday in Pakistan's Abbottabad. He was living in a three-storey house in the garrison town, barely two hour drive from Islamabad . "We are closely talking to the Pakistanis right now. 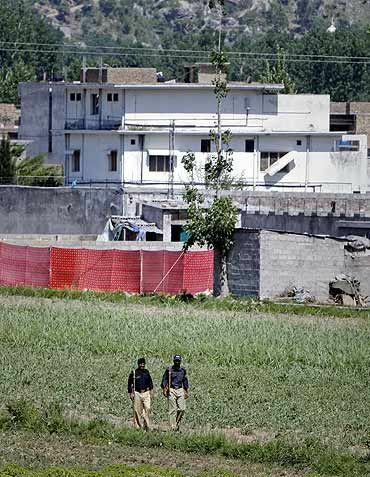 And, again, we are leaving open opportunities to continue to pursue whatever leads might be out there," Brennan said responding to questions on how the most wanted terrorist was found in one of the most affluent neighborhoods of Islamabad, which is residences of top retired Pakistani military officials. "People have been referring to this as hiding in plain sight. Clearly, this was something that was considered as a possibility. Pakistan is a large country. We are looking right now at how he was able to hold out there for so long and whether or not there was any type of support system within Pakistan that allowed him to stay there," Brennan said. "We know that the people at the compound there were working on his behalf, and that's how we ultimately found our way to the compound. But we are right now less than 24 hours after this operation, so we are talking with the Pakistanis on a regular basis now. And we're going to pursue all leads to find out exactly what type of support system and benefactors that bin Laden might have had," he said. Brennan said following the conclusion of the successful operation, a number of senior US officials are in regular contact now with their Pakistani counterparts. "We are continuing to engage with them. We're engaging with them today as we learn more about the compound and whatever type of support system bin Laden had." Brennan said the fact that bin Laden was found so close to the capital "raises questions". "There are a lot of people within the Pakistani government, and I'm not going to speculate about who or if any of them had fore-knowledge about bin Laden being in Abbottabad. But certainly his location there outside of the capital raises questions. We are talking to the Pakistanis about this." "But they, at least in our discussions with them, seem as surprised as we were initially that bin Laden was holding out in that area," he added.